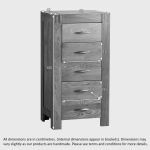 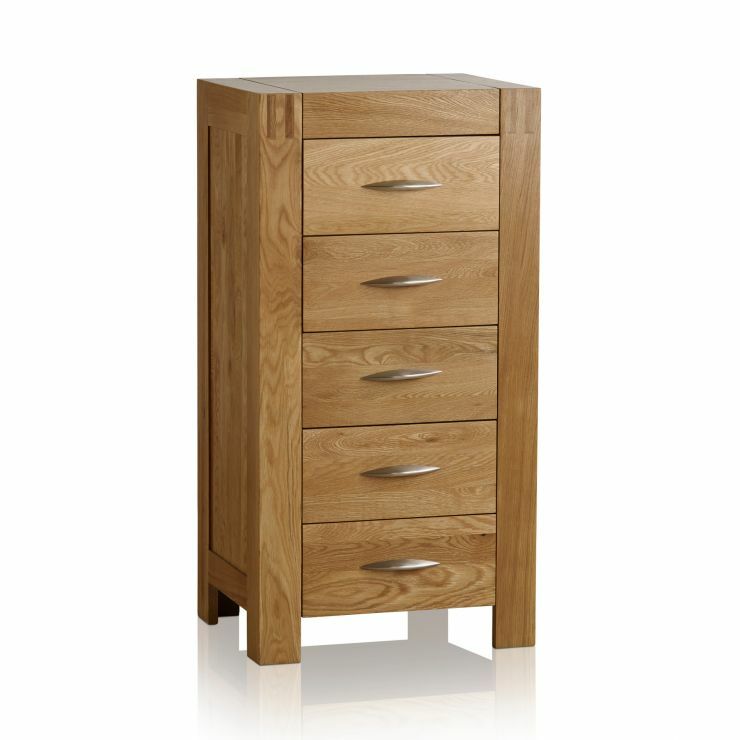 The Alto Natural Solid Oak Tallboy is just what you need in a smaller bedroom. 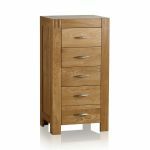 Using minimal floor space yet offering plenty of storage, a tall chest of drawers is a popular option when space is of the essence. 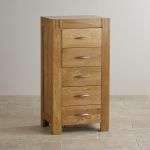 The five drawers feature robust dovetail joints and brushed metal handles, ideal for withstanding heavy use. 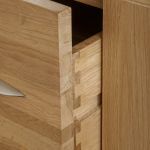 The signature features of the Alto range are the intriguing finger joints in the top corners of the unit. 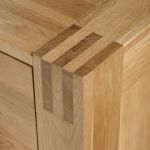 This type of joint dates back to early shipbuilding and is renowned for its strength and quality. 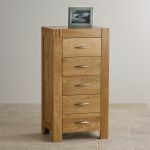 The oak itself is of the highest quality and is beautifully finished in wax for a warm, natural sheen.